Since November 2014, Microsoft has purchased a number of major apps and games to bolster its mobile portfolio on Android, iOS and, of course, Windows and Windows Phone. It has added Minecraft, Acompli, Sunrise and Wunderlist under its belt, titles which have been very popular and highly regarded by smartphone and tablet users. These acquisitions have turned the software giant into one of the strongest developers on the aforementioned platforms. But Microsoft is not stopping there, as it just announced the purchase of SwiftKey, one of the most popular third-party keyboards available for Android and iOS. And, just like that, four of my favorite apps are now owned by the software giant. Outlook, or Acompli as it was previously known, has long been my go-to email app on Android and iOS, due to its cross-platform availability, support for multiple providers, like Gmail and Outlook.com accounts, and some very lovely email management features. Wunderlist, my favorite to-do app, is one of the best in the business, offering all the right features I need to get things done on a day to day basis. All of the things that I need to do on a specific date are in Wunderlist and, so far, it has helped me greatly. I do not play Minecraft, but I do enjoy -- or had enjoyed, I should say -- Sunrise quite a bit. Before Microsoft decided to get the team behind this app involved more with Outlook and less with improving Sunrise, I was using it to keep track of all my calendar entries and add new events. Right now, being last updated sometime around mid-2015, it has lost its charm. This brings me to SwiftKey, which I personally view as the best keyboard on Android and iOS, bar none. It is very good if you need to write in multiple languages, it offers decently good predictions and, just like the aforementioned apps, it is available on Android and iOS, which makes it easier to use multiple platforms on a daily basis. 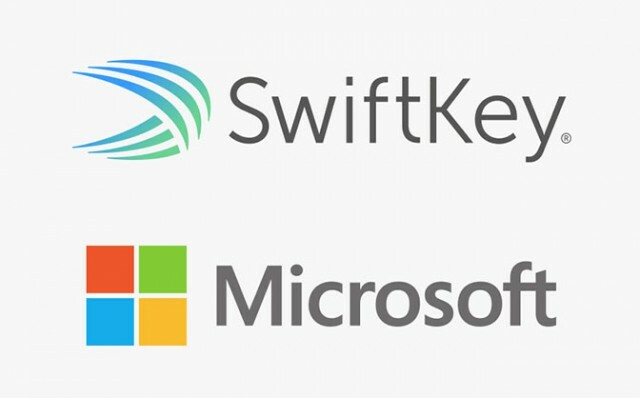 SwiftKey, which is installed on over 300 million Android and iOS devices, will continue to be developed under Microsoft's ownership, or so the software giant says. Third-party keyboards are a popular category on both platforms, so it makes sense for Microsoft to want to keep it alive and not bury it like Sunrise. This would have the benefit of making Microsoft a better-known developer among Android and iOS users, of course. Microsoft also says that it plans to integrate (some of) the technology behind SwiftKey in its Word Flow keyboard for Windows (and, soon, iOS) and other products and services that it has. "SwiftKey’s predictive technology aligns with Microsoft’s investments and ambition to develop intelligent systems that can work more on the user’s behalf and under their control", says Microsoft's executive vice president of Technology and Research Harry Shum. SwiftKey co-founders Jon Reynolds and Beb Medlock say that the app will remain free on Android and iOS. The other aforementioned productivity-oriented apps that Microsoft offers are also free. The software giant is rumored to have paid $250 million to acquire SwiftKey.